This is where i tell you a little about the site and give you some information about my interests, my hobbies and my favourite things. 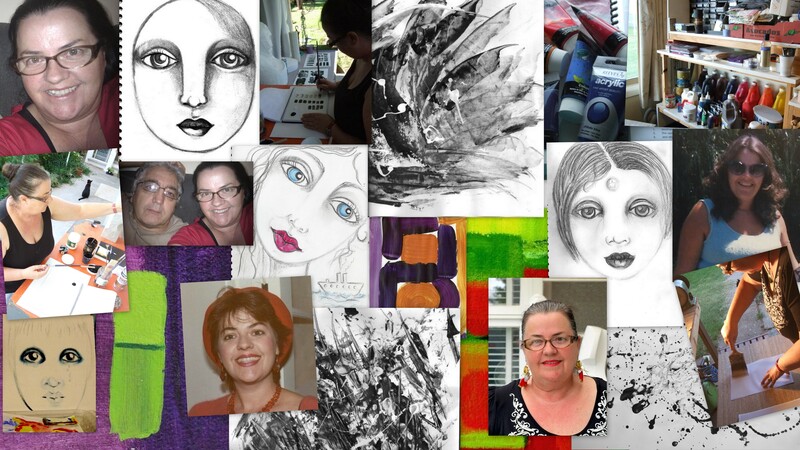 I am Susi B and my focus for this site is Art; Art that inspires, Art that I study, and Art that I do. I love black and white, but have recently rediscovered Colour and am exploring and learning more about Colour in my daily life. I have always been attracted to colour, but just didn’t know much about how to use it and was not confident in choosing or deciding on colours. Although I have studied the effects of colour as a therapy, I hadn’t used it in a big way for painting before now. My background is in Naturopathy and Herbal Medicine, along with several Remedial and Energy Therapies, but the budding artist was always wanting to be heard. So now I have gone back to school, and I am studying Fine Arts and Visual Culture at Curtin Uni, online through OUA. It is practical for me to do it online and very rewarding to study Arts. I am married to a Sculptor and you can see some of his work on our Blog – Studio Baumgartner. My interests and hobbies are expressing myself thru art and blogs, and promoting world peace (always wanted to say that!) thru teaching meditation. I am also studying more about the Web and creating a WebHelp Blog to help other Artists build an online Web presence and in my spare time….I teach (volunteer) English as ESL to migrants and refugees in my town. If you are inspired, YOU can create a page just like this one, start your own Blog and add sub-pages – as many as you like and discover how to manage all of your content inside of WordPress, just like I am doing! If that sounds too scary, hop over to ‘Ask Susi B‘ where you will get all the help you need on Blogger. Thanks Nicole, glad you like it!